Watch This Guide on YouTube! 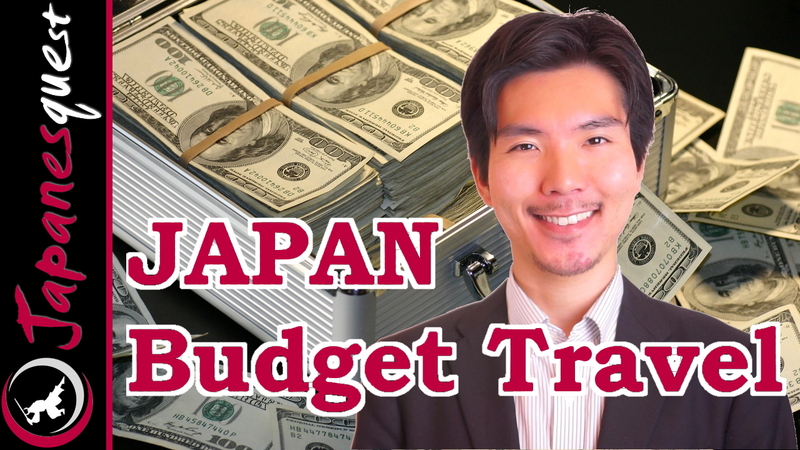 You might think traveling Japan is expensive but is it really? Because if you know right ways and tricks, you can travel this beautiful country with an incredibly small budget. 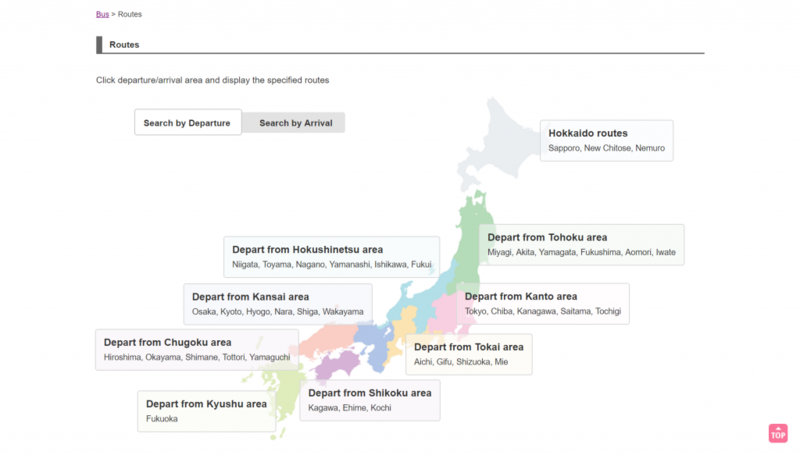 So today, let me tell you how to travel Japan cheaply! Because these are the 4 main things people spend about 90% of their budget. So in each topic, I will talk about how to save money. Okay, let’s start with a famous one. 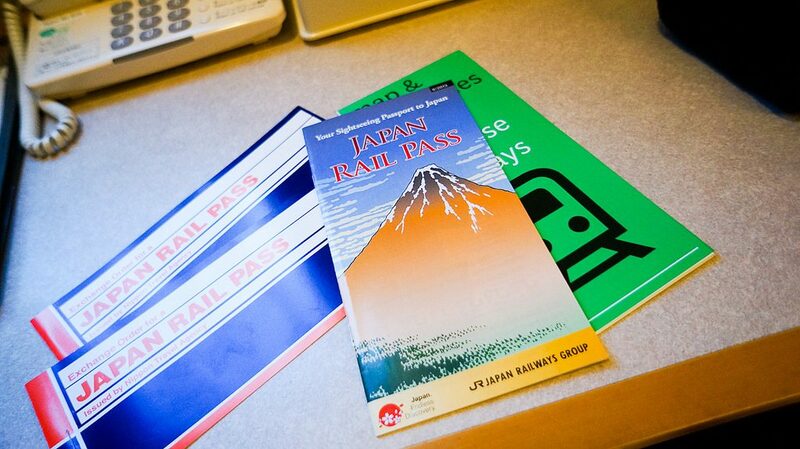 Japan Rail Pass, or JR Pass, is a rail pass that provides foreign tourists unlimited use of JR company’s trains. 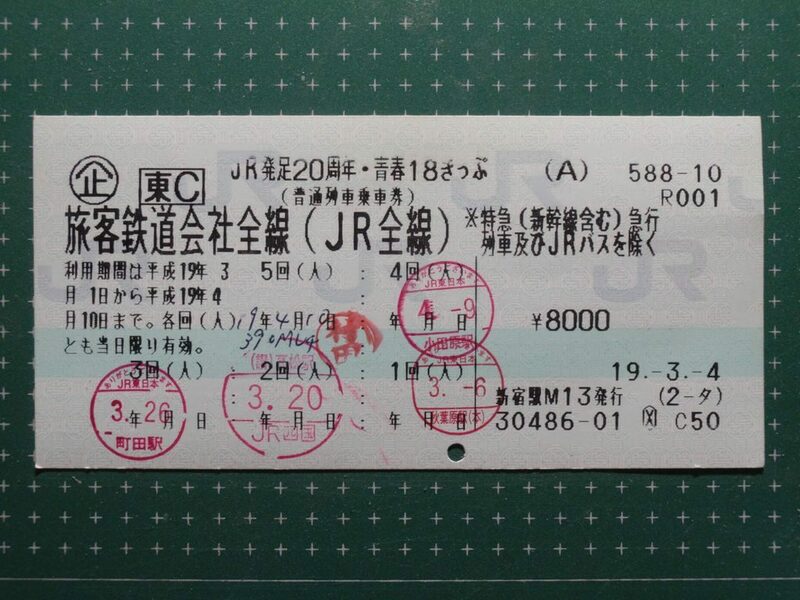 If you plan on riding Shinkansen several times during your trip, the JR pass is worth considering. It is a very complicated Pass, so I have made another video dedicated to this. Check it out! OK, JR pass is cool, but it is still expensive for budget travel, isn’t. In that case, I recommend long-distance buses. They are much more affordable than Shinkansen, and they run through most of the major cities. Plus, you can sleep on a night bus, which can save your accommodation fee too. 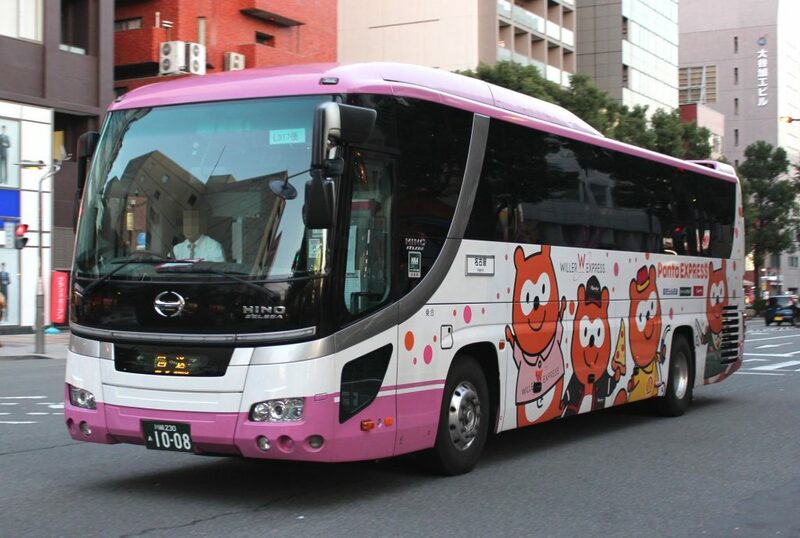 If you buy Japan Bus Pass, it gets even cheaper. For more details, again I made another video so please check it out! The longer the distance is, the more likely flights are cheaper than trains. In particular, if you are visiting Okinawa or Hokkaido, Low Cost Carrier (LCC) is probably the best choice. We have several LCC companies in Japan. And you can cross-search them on the website Skyscanner. Okay, this is the hardest one. Seishun 18 Kippu is a rail pass that allows you to ride all the local and rapid JR trains throughout Japan for about 20 dollars per day. If you have a lot of time and limited budget, this is your best friend. One ticket is valid for five days (not necessarily continuous). It is sold only during certain periods. 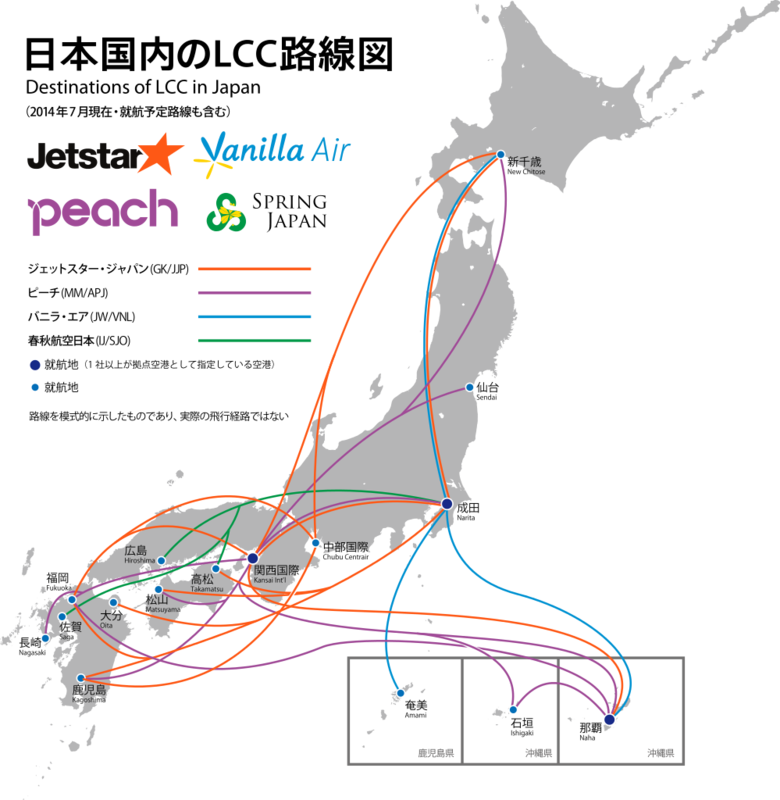 It is a very complicated pass, so for the detailed explanation, I will leave it to Wikitravel. Again, let’s start with an easy one. 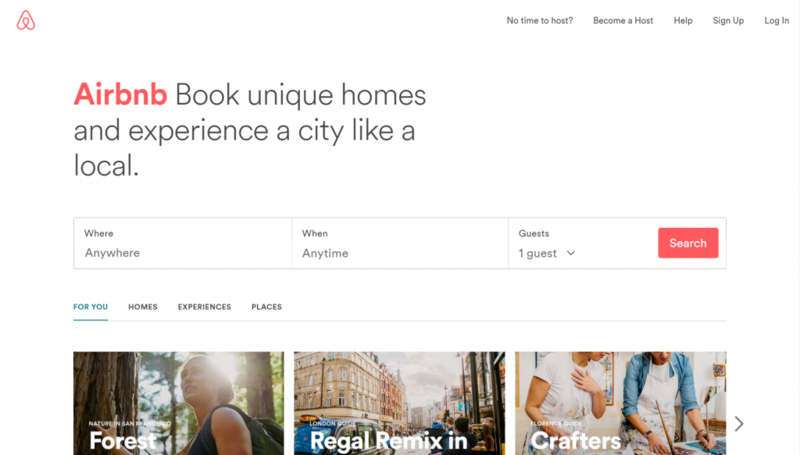 Airbnb is a website that enables people to rent a room or a house. If you travel with 3 people or more, renting a whole house is often cheaper than staying a hotel. If you have never used Airbnb, today is your lucky day. because you can get a 35-dollar coupon by signing up from this link! By the way, I am renting out traditional Japanese houses in Kyoto and Takayama. So if you happen to come to these places, you know what to do 🙂 (advertisement). Airbnb is good for a large group of people, but if you are solo or couple, a capsule hotel serves you well. It is kind of like a guest house but much more private and comfortable. 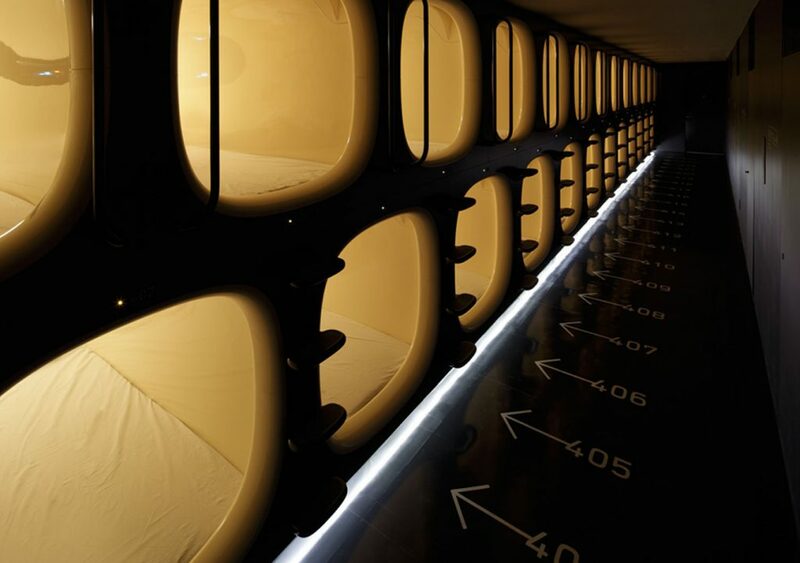 You will be assigned a pod-like room for sleep. You can put all your luggage and belongings in a locker. and They usually have a large common room and public bath where you spend time until you sleep. So the capsule hotel is much more comfortable than it initially looks. During high season, such as April for Sakura and November for Autumn leaves, even capsule hotels get booked out or become insanely expensive. That’s when the Manga cafe comes in handy. 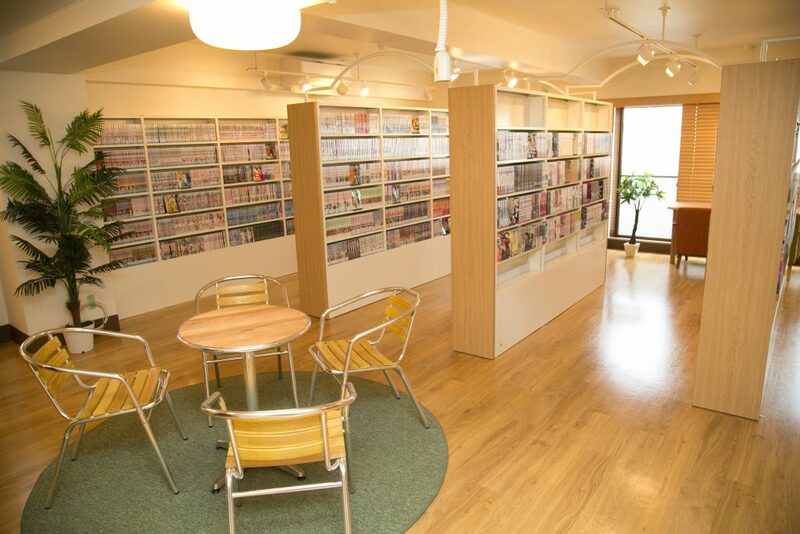 It is originally a cafe where you can also read a bunch of manga, but you can also use it as a place to crash. 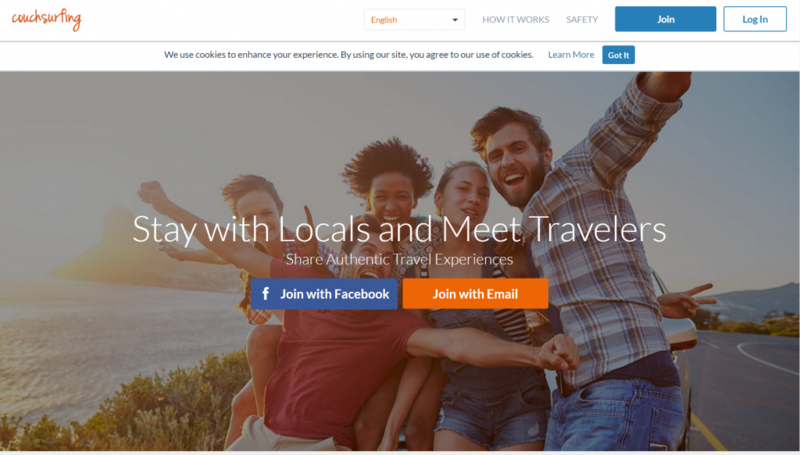 CouchSurfing is basically a free version of Airbnb where you can find homestay accommodation. Hosts are usually nice and kind who are willing to experience new things and to interact with their guests. But there are always a few who are shady, suspicious, or who have an ulterior motive. So My best advice is, read their reviews and screen them carefully. Once you find a suitable host, Send a personalized message, and be respectful. 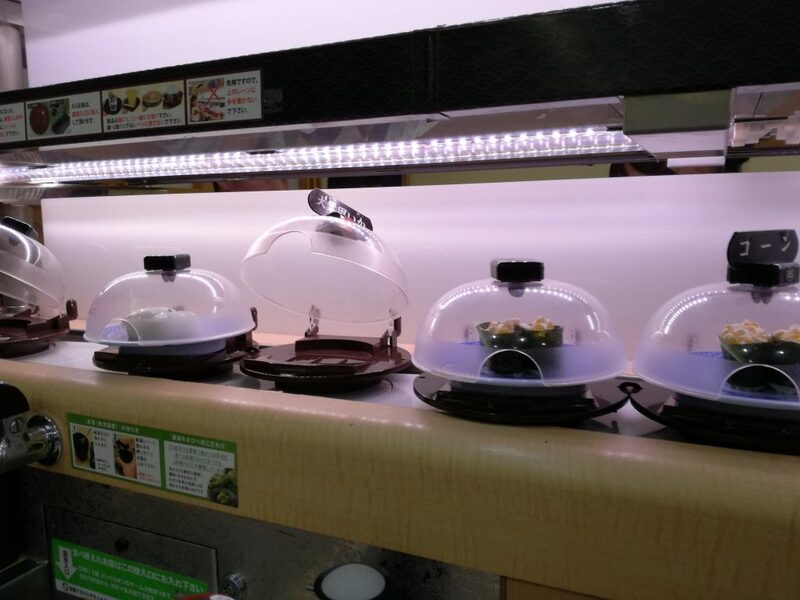 When visiting Japan, one kind of food everyone wishes to eat is Sushi, which is usually expensive, but not necessarily when you eat at conveyor-belt sushi. It is a restaurant where the plates with the sushi are placed on a rotating conveyor belt and pass through all the tables. Usually, you can eat 1 plate for 1 dollar. And as you see, they reduce the cost by using technology and being efficient, so the sushi itself is quite good for its price. If you prefer to eat at home, let’s hit a supermarket’s food corner. A little trick here is, you go there after around 8 pm, and you can often find food at a discount. Because they rather sell the food on the day than throwing them away. 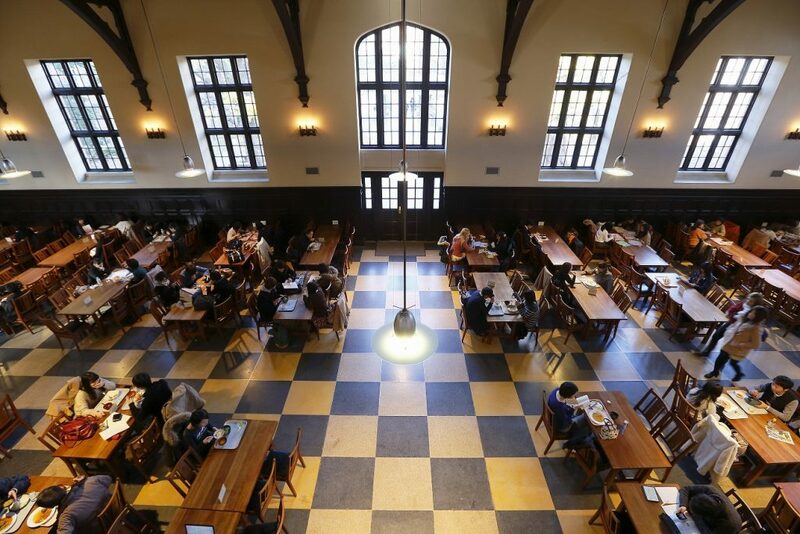 A most overlooked spot is school cafeterias in universities. Some of them are not only for students but also open to the public. 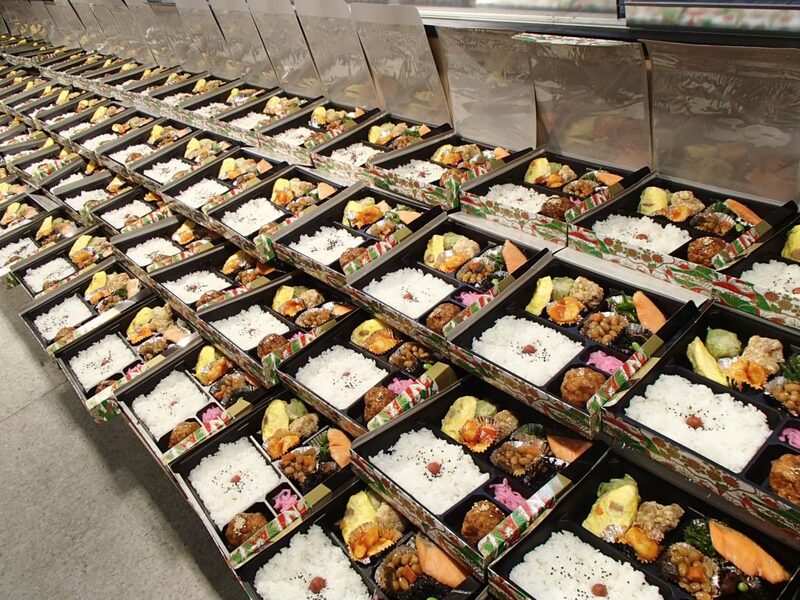 Since plates here are originally for students, they tend to be healthy, inexpensive and has a large portion. Also as a bonus, you can see and experience how locals live. 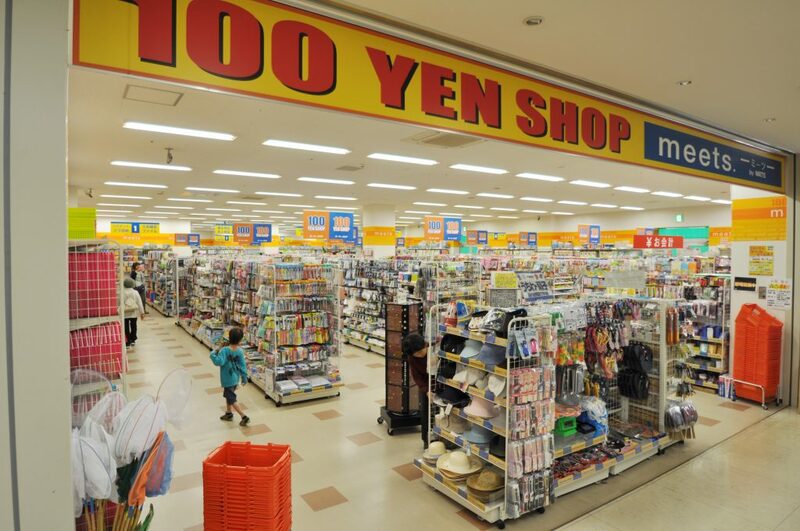 If you want to buy a souvenir, let’s start at a 1-dollar shop, or as we call it 100 yen shop. Just for one hundred yen, you can find a variety of high-quality goods. Often 100 yen shops are adjoined to a drugstore, which is a great place for inexpensive cosmetic souvenirs. If you prefer items that are weirder, more Japanese-like, Don Quijote is your best option. There are so many items sold here, and Don Quijote have an exquisite taste of weirdness. 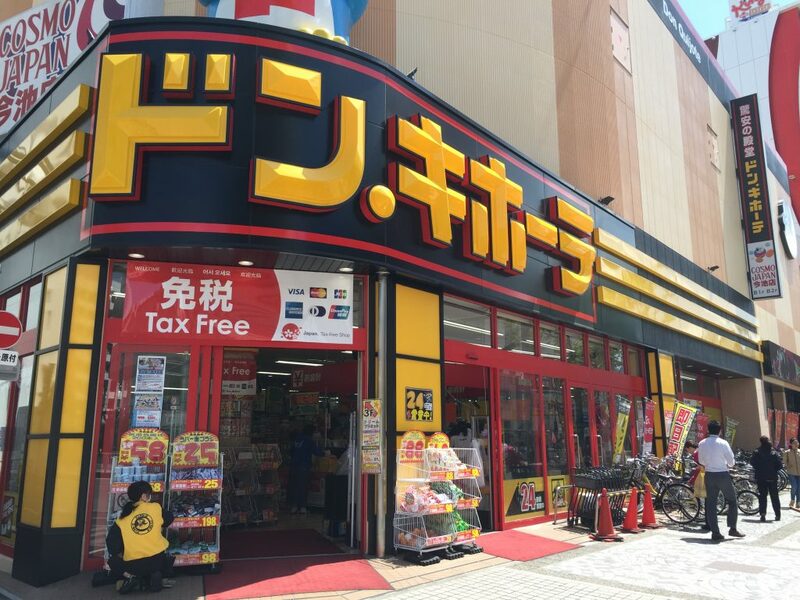 It is different than any other store. , you can easily spend a half day inside this shrine of weirdness. If you are looking for one of a kind stuff, you may find it at a local flea market. Flea market sellers in Japan usually don’t rip off so much. So you can feel safe and enjoy shopping. By the way, I introduced 3 best flea market in Kyoto in another video, so be sure to check that! I wanna also advise you to avoid those periods. 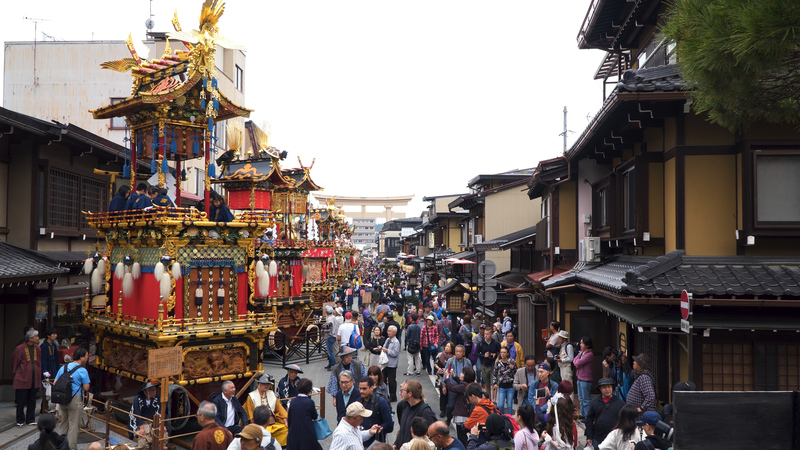 Golden Week Holiday: Around April 29th – May 5th. Obon Holiday: Around August 13th – 15th. These are the local holiday seasons, and every place gets so crowded for not any beneficial reason to foreign travelers. Okay, that’s it for today. 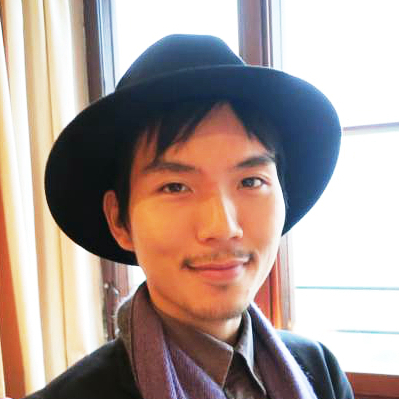 I am Yusuke Nasu and thank you for reading Japanesquest! Hi I'm Yusuke, your best Japan guide! 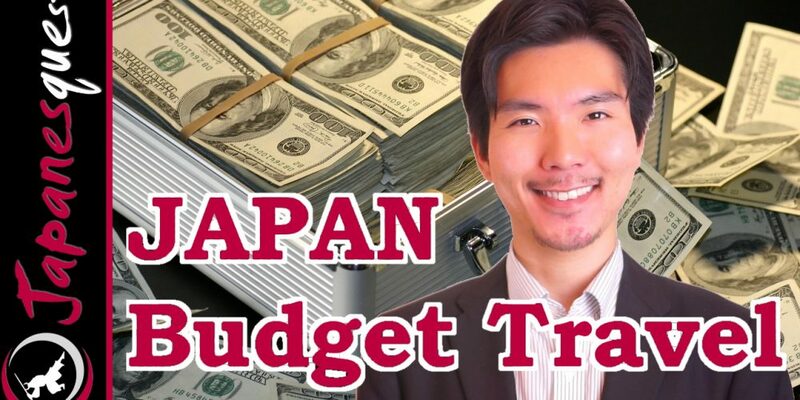 Japanesquest is a YouTube channel that's all about helping you learn about Japan and enrich your trip. Japan is a beautiful country, and I want to share it with you. Subscribe Japanesquest, and let's continue our journey together!